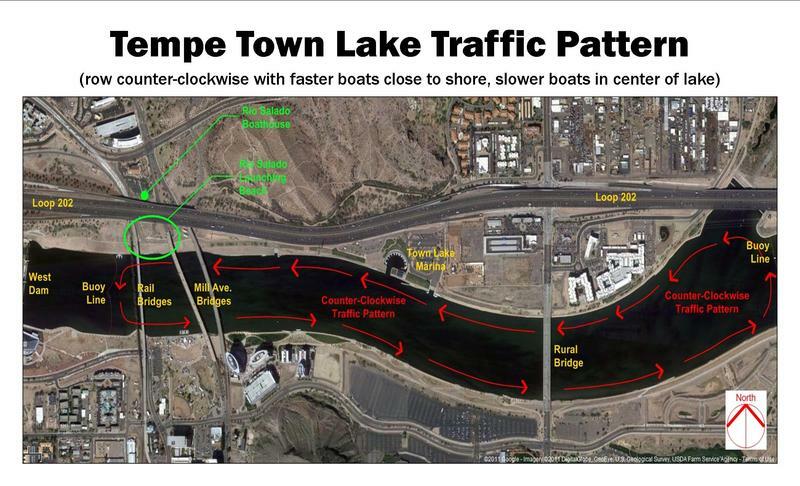 RSRC's boatyard is located on N. Mill Avenue, Tempe, on the north side of Tempe Town Lake, at the SW corner of Mill Avenue & Washington/Curry Roads, behind the Marquee Theatre. (And yes, the boats are housed underneath the 202 Freeway overpass!). Eastbound on Washington, turn right onto Lake View Drive just before the intersection of Washington/Curry and Mill (and right before the Marquee Theatre). Southbound on Mill, turn right into the parking lot, just south of Washington/Curry, and the theater. ​Parking is available next to the fenced boat storage area, under the 202 freeway. DO NOT park in the Marquee Theater lot -- towing is enforced. We are a 5 minute walk from the Washington/Center Parkway Station. Walk East out of the station along Washington (towards Marquee Theater), then turn right (south) on Lakeview immediately after crossing the tracks.